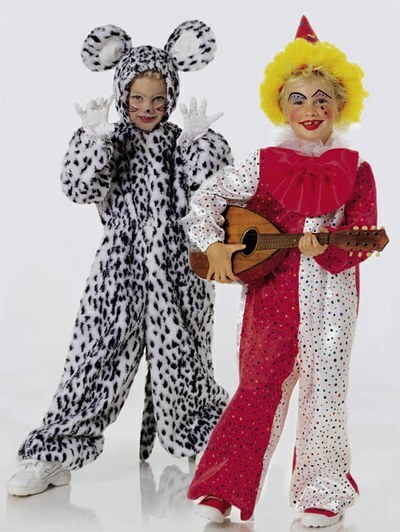 Wide jumpsuit/cat-suit with elastic casing on sleeves and trouser/pant legs. B also has an elastic casing at the waist. A with neck ruffle and big bow. 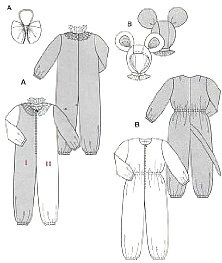 B with separate hood and large ears.